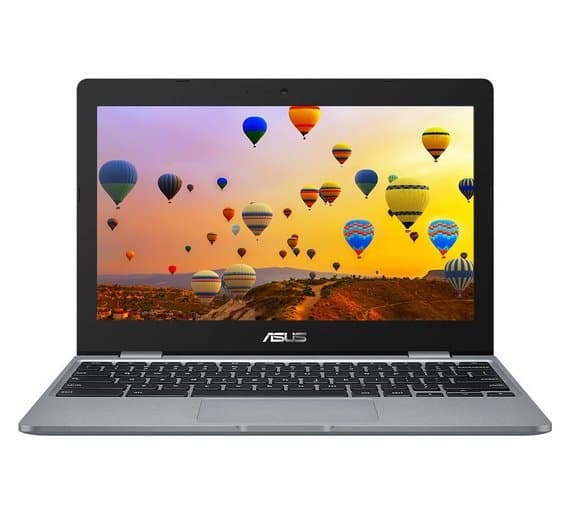 The Asus C223 Chromebook is the perfect size for someone who is looking for a Chromebook to use on the move. Portability is important for a lot of people, but there is more to buying a Chromebook. It needs to deliver in many different areas to be the best. Let’s take a closer look at the Asus C223. 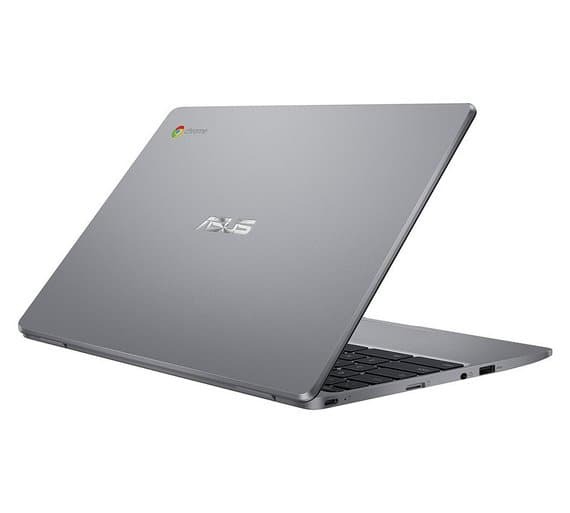 If you're after a super cheap Chromebook that is ideal for using on the go then this may be the Chromebook for you. It comes with a decent amount of memory and storage space. However, it's letdown by the awful display on offer. The build quality is pretty decent for a Chromebook at this price. It’s an all plastic affair but Asus have tried to make it feel like a more expensive Chromebook. It will definitely not turn any heads, but it has a sturdy frame and lid, which is great if you want a Chromebook you can throw around on the move. It’s super thin at just 1.73cm in thickness and lightweight as well at just 1kg, which again makes it a good choice for people wanting a laptop to use on the move. However, there is a huge border around the display, which does make the Asus C223 look cheap. 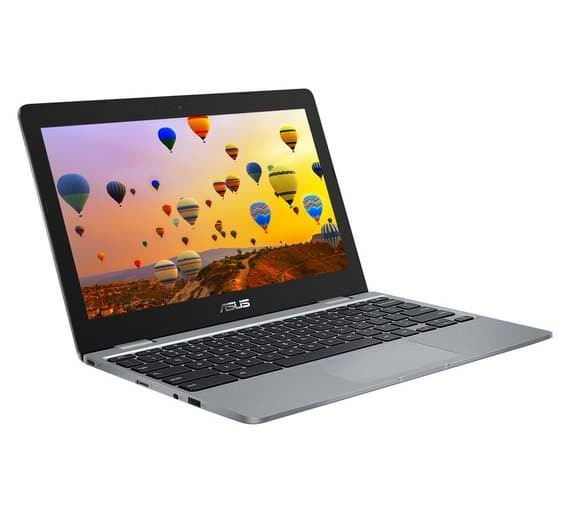 The Asus C223 comes with an Intel Celeron N3350 dual-core processor. It’s capable of 1.1GHz with a turbo boost of 2.4GHz. It also comes with 2MB cache. Make no mistake this is a budget processor, so don’t expect too much from the Chromebook. However, it’s worth remembering most budget Chromebooks come with an Intel Celeron processor, so it would be unfair to mark it down too much for that. If you’re looking for a Chromebook to use for daily tasks such as internet surfing or word processing then you will be absolutely fine. However, if you need a Chromebook that provides more power then this is not the choice for you. The Asus C223 comes with 4GB of RAM, which is more than enough for most tasks. This is good to see as the Asus C223 is capable of running Android Apps. If you’re looking for a Chromebook that can run Android Apps efficiently then you should definitely be looking for a Chromebook with this amount of memory. The 4GB of RAM also makes the Chromebook run faster, which is important when the processor is of the budget type you get here. Essentially, the RAM is having to pick up the slack of the underperforming processor. It does this just fine and the Asus C223 is more than fast enough for daily tasks. It comes with 32GB of storage, which is absolutely fine for most users. You will easily be able to store all of your favourite Android Apps without any problem. For most people, 32GB should be enough providing you take advantage of saving your work files in the cloud. You can find out more about this by reading What is Google Drive and why it’s perfect for the Chromebook. If you do run out of storage then there is no need to worry as the Asus C223 comes with a Micro SD slot, which makes adding extra memory in the future an easy task. The display on a computer of any type is really important. Unfortunately, the display on the Asus C223 is a bit of a letdown. Yes, it’s a budget Chromebook, but you don’t want it to feel like that when you buy a new Chromebook. It’s an 11.6-inch display and the resolution provided is 1,366 x 768. Personally, a display without 1,080p is always going to be a bit of an issue. However, when you consider the display on offer here is just 11.6-inch you cannot expect to get a 1,080p display in this price range. The main concern with the display is that it does not boast IPS. Once you’ve used a display with IPS you’ll not want to use a display that doesn’t have IPS. This is because IPS provides a much sharper crisper looking image and you do not have problems viewing the screen at an angle. The display on the Asus C223 is awful when it comes to the viewing angle. This is what tells everyone that this is a budget Chromebook. We all like a bargain, but what’s the point of having a super cheap Chromebook if the display is of bad quality. The Asus C223 does just fine on the connectivity front. This is thanks to the 2 x 3.1 USB Type-C ports, which is a must nowadays. It also comes with 1 x USB 3.0 port. The Type-C ports are good to see on a budget Chromebook of this price. Type-C is the way forward for USB, as it provides faster data speeds. You also do not need to worry about putting the USB connector in the right way, as Type-C can be slotted in using either side. 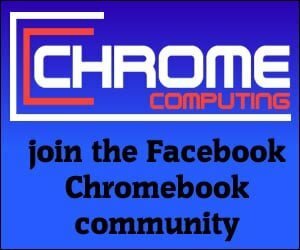 We need to remember this is a budget Chromebook, so it may be ideal for anyone looking for a cheap Chromebook to use on the move. The connectivity is good for a Chromebook of this price. It also has a decent build quality, although it is entirely made of plastic. The biggest letdown, however, is that awful screen. It just looks so cheap and anyone who needs a Chromebook to use at an angle then forget it. To use this Chromebook you need to be using the Chromebook head on. Move just slightly away from directly being in front of the display and you’ll notice the image becomes poor. If you’re not too bothered about the display and more interested in price and portability. Then this Chromebook may be ideal for you. However, If you spend a little extra money you could get a Chromebook with a much better display than what is on offer here.